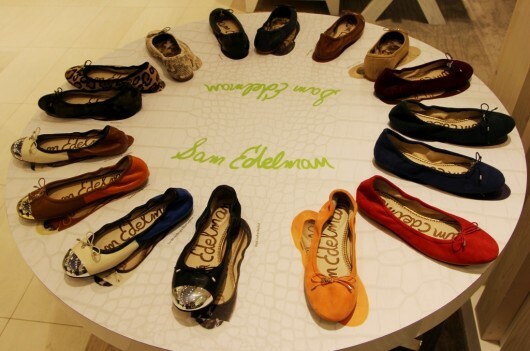 HomeLifestyleFashionSam Edelman Visits The Bay in Toronto! 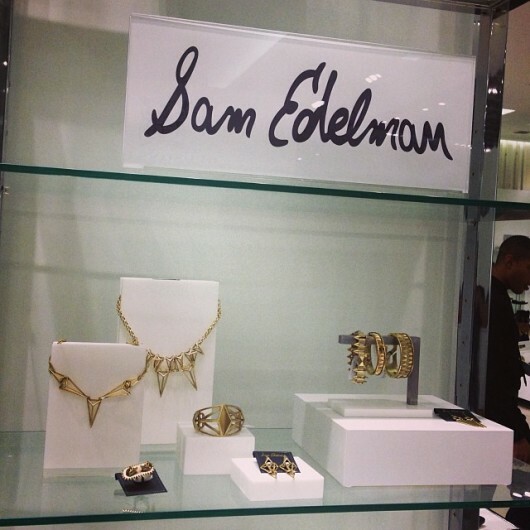 Last week, I put on my snazziest Sam Edelman boots and went to The Bay to meet the man of the hour himself. 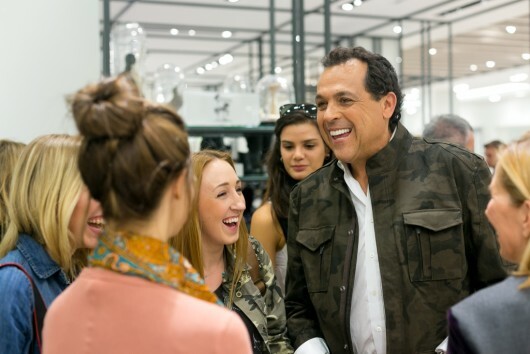 Dressed in a camo-print jacket and a friendly smile, Mr. Edelman addressed the quickly-gathering crowd of obsessed shoe fanatics, sharing his favourite trends for Fall 2013 and answering burning questions. 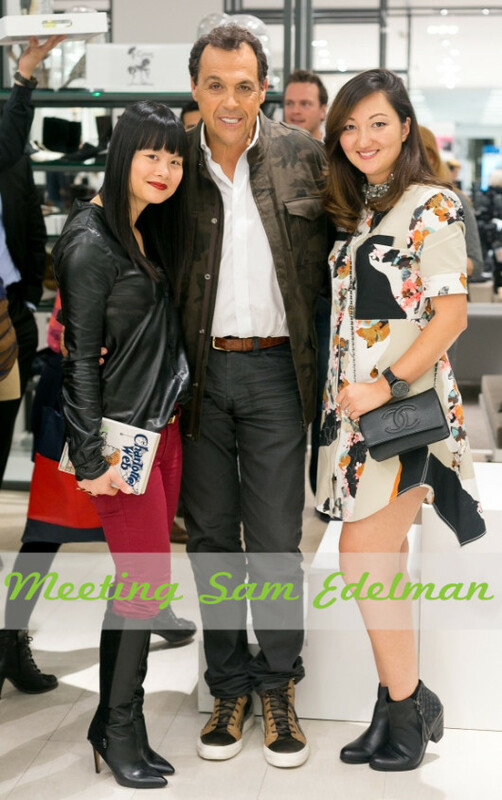 After the Q&A, shoppers got a chance to meet the designer, snap some pics with him, and have their Sam Edelman purchases autographed on the spot. After letting his most ardent fans get their fill, my fellow co-host Sharon and I sidled up to Sam and got a chance to finally meet him! What impressed me most about the designer, is that he appeared totally engaged and uber-personable, taking his time talking to people, listening to them, and sharing personal advice too! I know that it sounds like common sense, but oftentimes, that is not the case. So, hat’s off to you, Sam! Cocktails and yummy bites were passed around, music was blasting, and Sharon and I, managed to sneak in some shopping, between all the dancing and chatting – how’s that for multitasking? 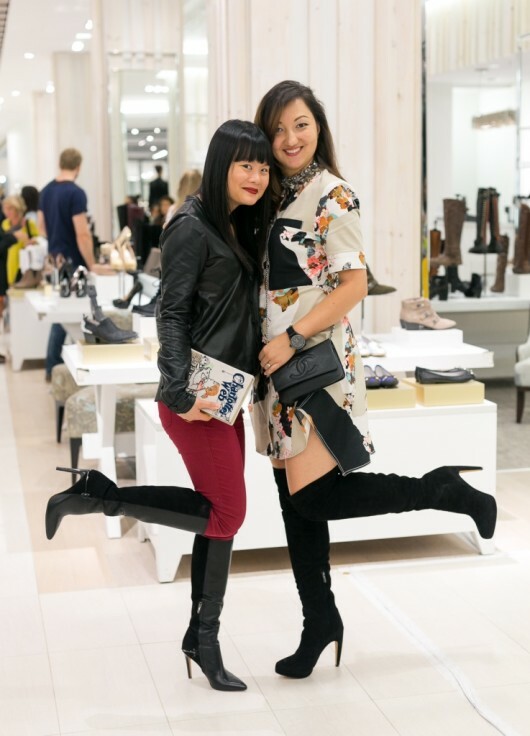 We also met a few of our readers, snapping pics for their own blogs and trying on shoes. It was a blast! Two hours later, the event was over, and I couldn’t believe how quickly the time has passed. 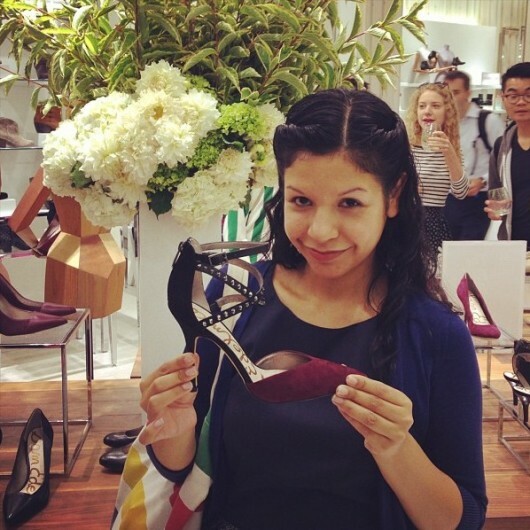 If you still haven’t stopped by The Bay’s magnificent new shoe department (the ones at Yorkdale and Queen St are my faves! ), then you are seriously missing out. 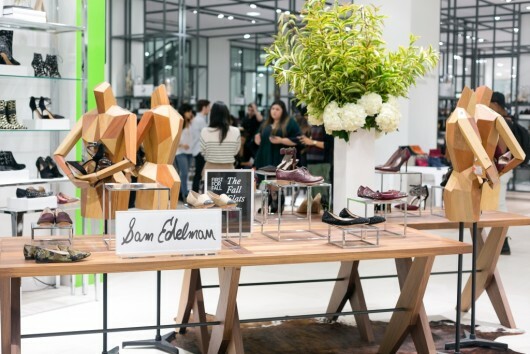 Stocked to the brim with every kind of shoe candy imaginable, The Bay’s shoe floor can rival any other shoe department/store in the world – even Sam Edelman said so! With more seating, more mirrors, and The Bay’s brand new shoe-logistics system (they can check if your size is available right away on a little machine before sending your size up via a special conveyor belt! 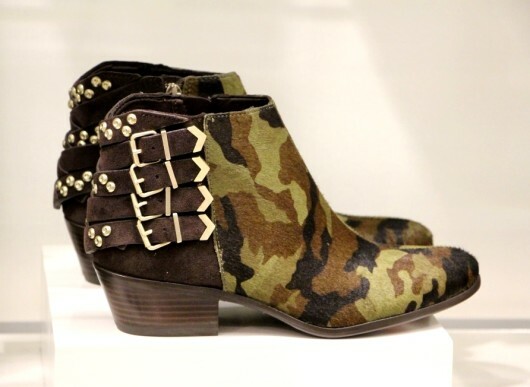 ), there really is no reason to make any other shoe-shopping stops…ever.